And as you’ll see in the new book, “Gigged” by Sarah Kessler, some things never change. Back in 2011, when she was a reporter for a tech blog, Sarah Kessler became aware of a new start-up that utilized non-traditional workers in non-traditional ways. It was called Uber, and its business concept seemed unusual; having grown up in rural Wisconsin, Kessler had no frame of reference and paid it little heed. Eventually, though, she began to see that the model Uber was using – modified in so many ways – was being used for a lot of start-ups and could, potentially, benefit a lot of people. Was this gig economy really the way of the future? It had been around awhile. In the early 1970s, Kelly Girls were available for temp work. Becoming a Kelly Girl was advertised as a way to pay for life’s extras. But, no surprise, research showed then – as it does now – that temp working and gig economy jobs are taken more as a way to make ends meet. While gig-working did, indeed, pay the bills for Kessler’s subjects, she also learned it was not all good. Yes, there was “independence, flexibility, and freedom” but at what price? So is this “what the future might look like,” as author Sarah Kessler says? In “Gigged,” she offers some tantalizing clues and more than one caveat. For anyone who’s stuffed envelopes for pennies or wondered if there’s real cash to be made gigging, this book sets it straight: Kessler’s subjects made money, but it was hard, and none of them are still gig-economy workers. Recommendations are sparse. That says a lot. Readers would be correct in assuming that we haven’t heard the final word on this subject. Change occurs frequently. 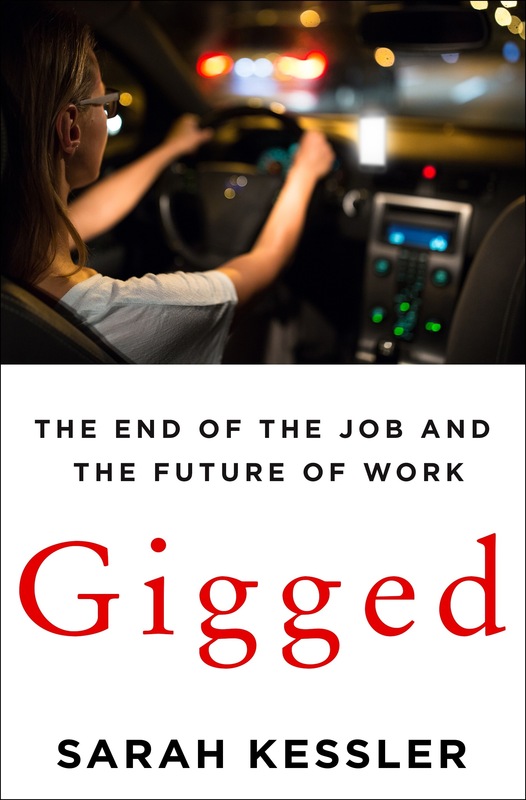 In the meantime, “Gigged” is interesting, informative, and timely - and until the dust has settled, that’ll have to be enough.